Mid Bloomer. 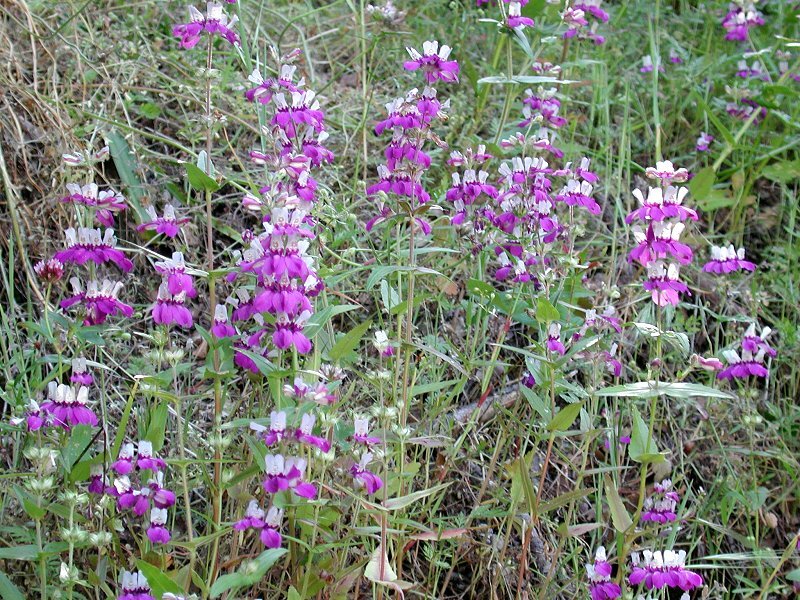 Numerous purple multi-colored flowers in tiers, grows on shady slopes, irregular shaped flowers. Notes: Figwort (Snapdragon) family. 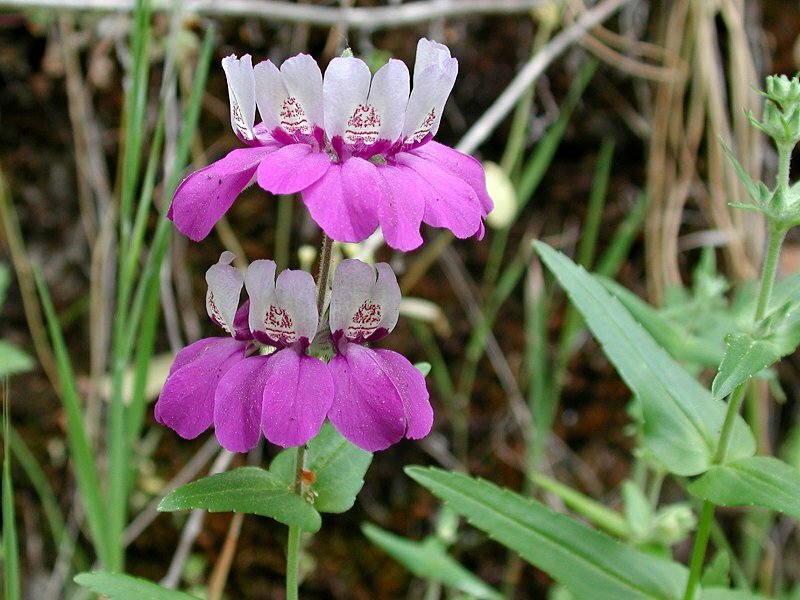 White and lilac-colored flowers in distinctive, dense whorls, one on top of another...look like “Chinese houses.” The middle petal of the lower lip in all Collinsia species is somewhat hidden—folded into a keel-like structure that houses the reproductive parts. Sixteen species in California, 18 in North America. 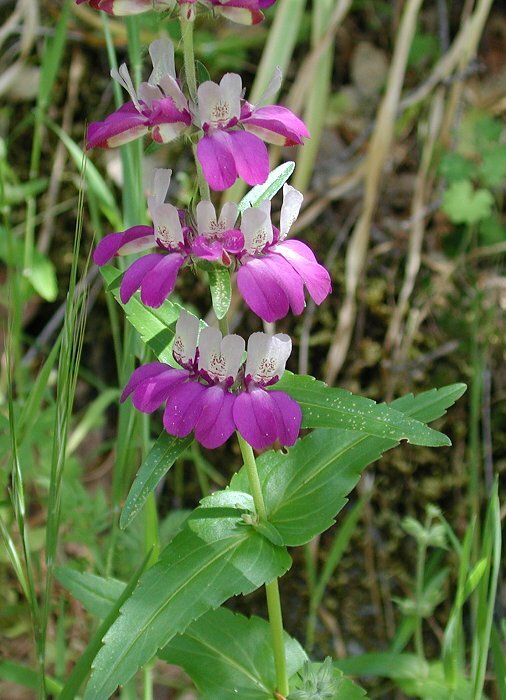 (USDA lists 19 Species and 34 accepted taxa overall.) Zaccheus Collins was a Philadelphia botanist in the late 1700's and early 1800's. Heterophyllla means ‘varied leaf,’ probably in reference to the leaves being deeply lobed in the seedlings and only shallowly toothed in the mature plants. When you look at the pictures below you can see the flower parts are quite varied. Flowers have been seen with two to five tiers; here there are four. They usually cover a small, shady slope, as they do here.